When it comes to wearing white, we say rock it all year round! As the colder season kicks in, an easy way to boost the spirit is with a white-hot winter wonderland ensemble. 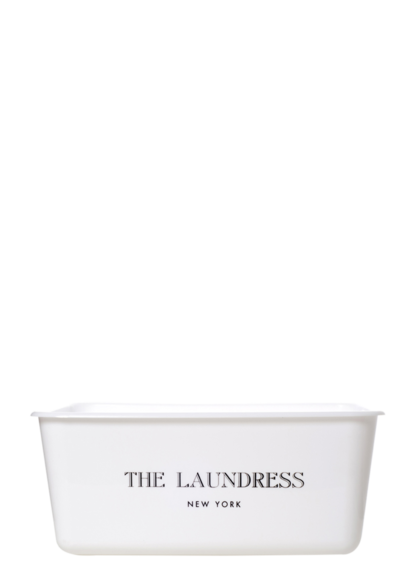 Follow our simple steps to ditch the dull and dingy, and keep your winter whites fresh as snow! 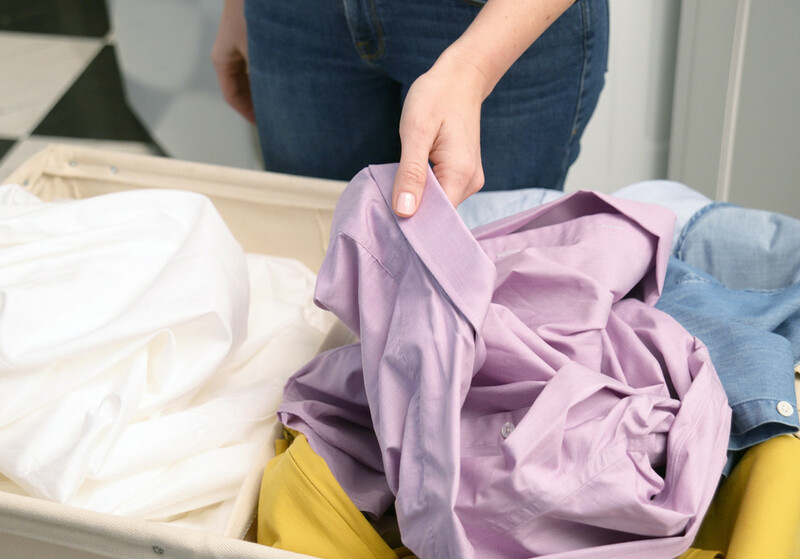 Sort laundry before washing, separating your whites from the rest of your load. Launder towels and linens separately to prevent tangling and the transfer of lint. Beware of colorful items that may sneak in your load, such as a stray sock! 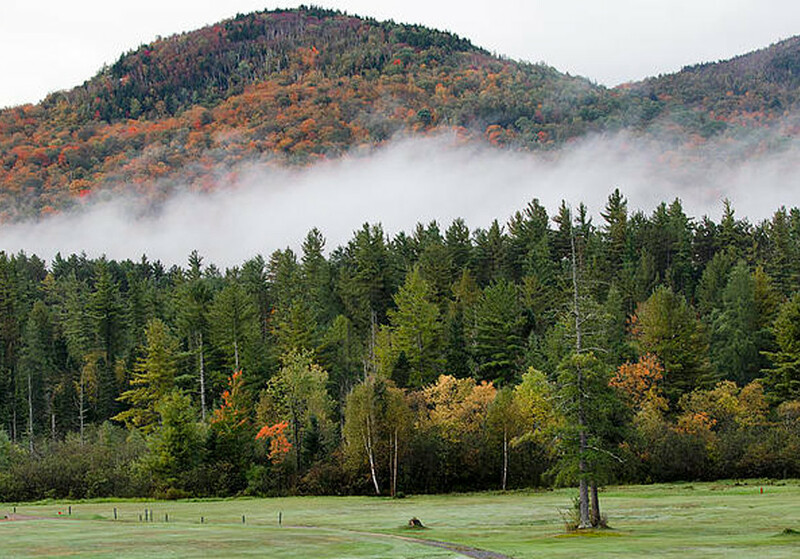 Pretreating with each wash will help prevent yellowing from occurring later in the season. Use Stain Solution and All-Purpose Bleach Alternative* to create a powerful yet toxin-free cleaning paste. Simply apply the solutions directly to the fabric and work into the stain with the Stain Brush. Pour hot water onto the mixture and continue to work it into the fabric. 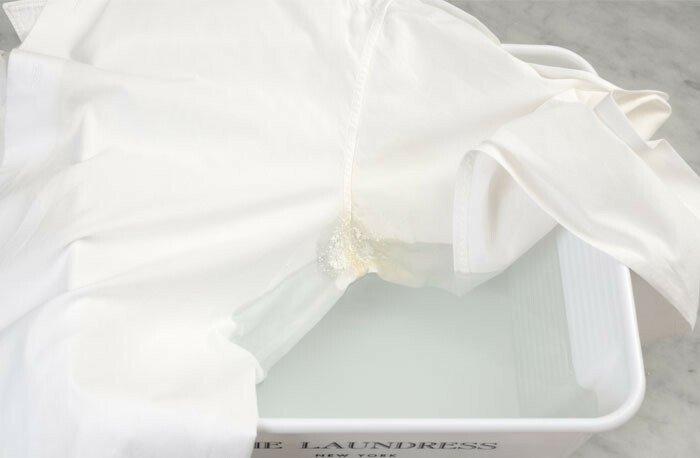 Presoaking is the most important step in achieving your goal of ultra-bright whites. Create a bath of hot water and one capful All-Purpose Bleach Alternative and fully submerge the item. Allow it to soak for at least 30 minutes or until satisfied. 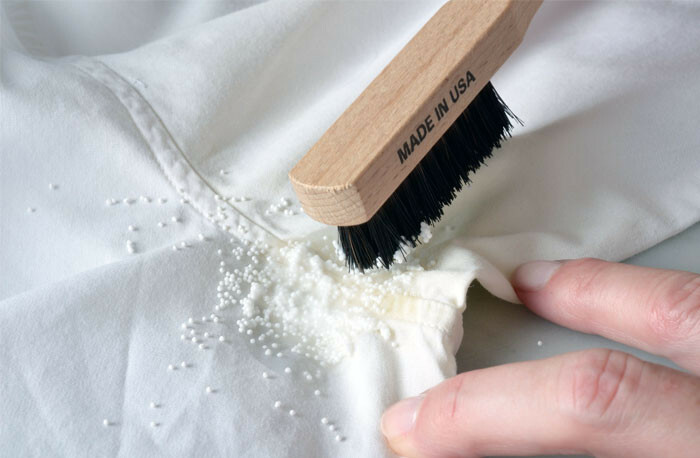 This method is suitable for durable fabrics such as cotton, linen, and denim. 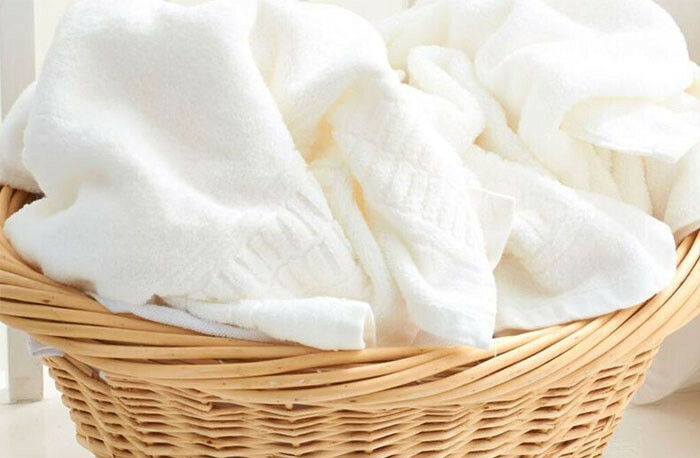 We recommend washing cotton and linen items in hot water for a deep clean. Wash all other fabrics in warm water. Add the appropriate amount of Whites Detergent according to the machine type and load size. 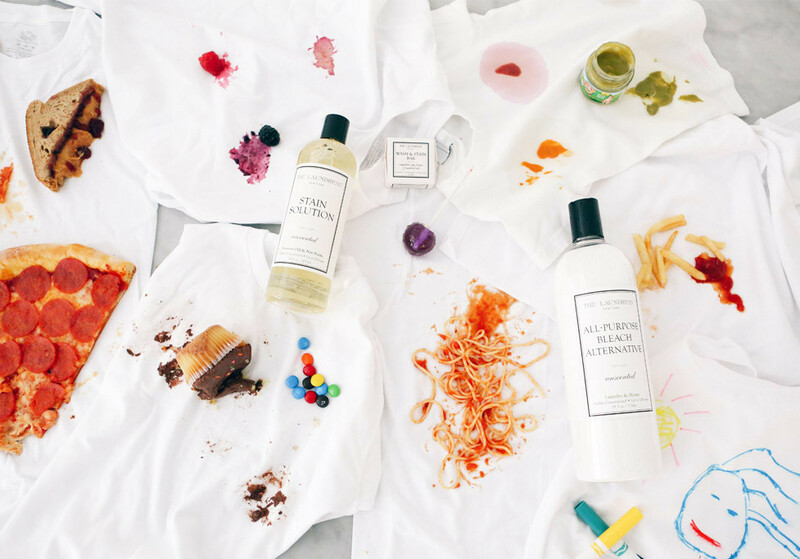 Our Whites Detergent is formulated to eliminate the buildup of body oils and minerals that cause dinginess and yellowing! 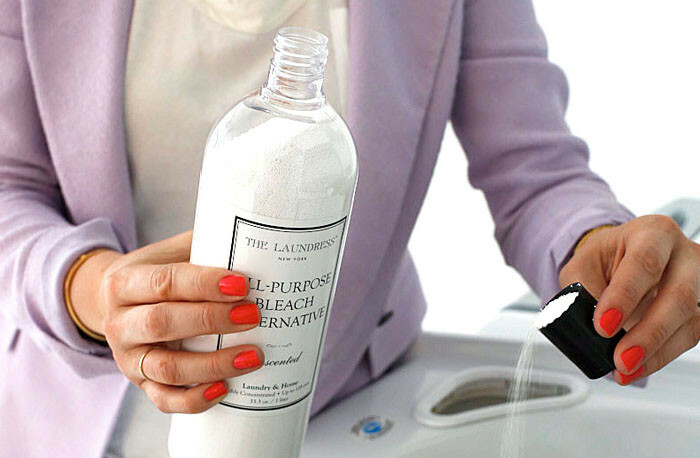 For extra whitening and brightening, add 1 capful of All-Purpose Bleach Alternative to each load in the wash cycle. Be sure to use hot water to activate. 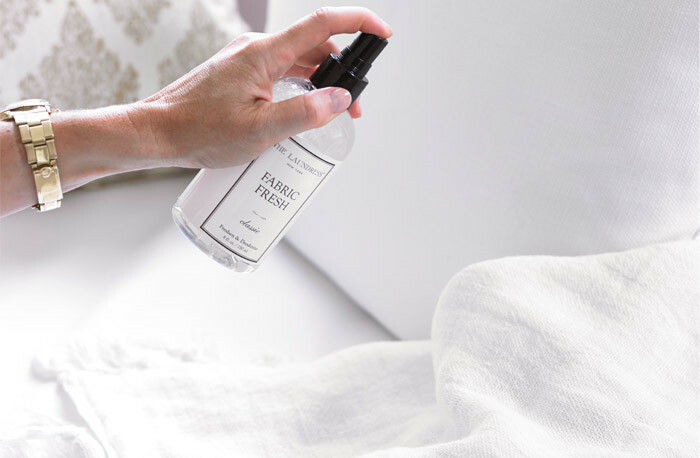 Keep your items fresh between wearing and washing by spraying with Fabric Fresh Classic.